The Film Festival uses art – in this case, films – to promote understanding around relevant social issues in our community and region. The films encourage togetherness over isolation and have the goal of bridging gaps between South Dakotans of all backgrounds. The films will be followed by a short discussion on the themes addressed in each film. “Me, The Other,” screening on September 18, is a documentary film directed by Shidan Majidi. The film tells the stories of a diverse cast who share their struggles and accomplishments and through their stories, we find ourselves in each of them. Otherness is never one thing. The powerful stories of these individuals create a platform for deeper understanding of what connects us and what keeps us apart. In connection with film screening, there will be a photography exhibit in The Matthews Art Gallery in September. Showing portraits of people in our community taken by Alison Murphy (BHSU photography student) and short individual stories, the exhibit will show that beyond stereotypes, isms, and assumptions, our “otherness” unites more than it divides. This fall, we are excited to bring the second season of the ArtCentral Film Festival to The Matthews in Spearfish. 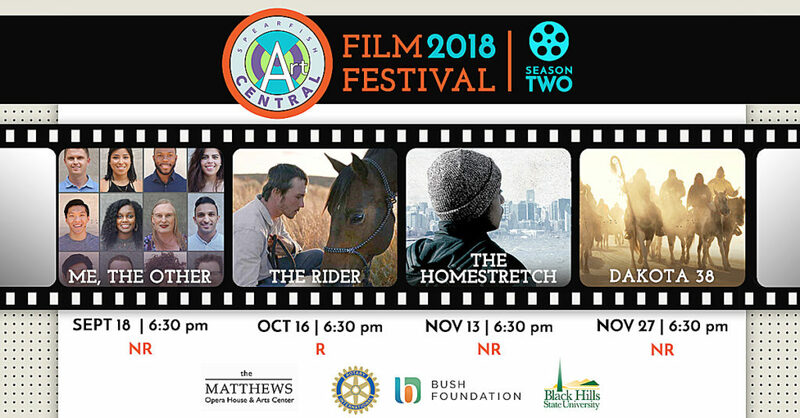 All films are FREE to our community, thanks toThe second film, “The Rider,” will be shown on October 16. The film is directed by Chloé Zhao and stars Brady Jandreau, a member of the Lower Brule Sioux Tribe who resides on Pine Ridge. After a tragic riding accident, the young cowboy, once a rising star of the rodeo circuit, undertakes a search for new identity and tries to redefine his idea of what it means to be a man in the heartland of America. The discussion following the film will be co-hosted by the BHSU Center for American Indian Studies. Our third film on November 13 is “The Homestretch,” directed by Anne de Mare and Kirsten Kelly. This film follows three homeless teens as they fight to stay in school, graduate, and build a future. Each of the smart, ambitious teenagers surprises, inspire and challenge us to rethink stereotypes of homelessness as they work to complete their education while facing the trauma of being alone at an early age. This film is co-hosted by Northern Hills CASA. Our final film will show on November 27. “Dakota 38” is directed by Silas Hagerty and was created to encourage healing and reconciliation. The film follows a visionary dream of a Native spiritual leader and Vietnam veteran to retrace the route to the site of the largest mass execution in U.S. History. This film is also co-hosted by the BHSU Center for American Indian Studies. All films are FREE and will be shown at The Matthews in the theater at 6:30 p.m. No tickets are required. We hope that you will come to join us in viewing and discussing these wonderful films. ArtCentral is a community collaboration, funded by a 2016 Bush Foundation Community Innovation Grant, to centralize the arts as an integrated asset for inclusivity, economic development, and outreach in Spearfish. As this is a community-based project, we welcome feedback and suggestions, as well as volunteers. Please contact us by email at [email protected] if you are interested in volunteering or have suggestions. 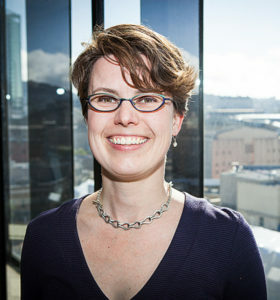 Lead by Elizabeth Freer, ArtCentral manager at The Matthews, the project brings together a committee of advocates, artists, and residents working together over two years to create a new model for arts planning and outreach, focusing on the themes of belonging, inclusion, equity, rural connectedness, cultivating creativity, imagining space, and the arts as a community development catalyst. This entry was posted	on Tuesday, August 7th, 2018 at 8:00 am	and is filed under AC Monthly Columns, ArtCentral, News & Blog, Outreach. You can follow any responses to this entry through the RSS 2.0 feed. Both comments and pings are currently closed.